Smatree Apple Watch Power Case will be available at Amazon on January 20th. The top-grade PU+EVA material provides your Apple Watch a durable protection and it also gives you a comfortable touch and fashionable look. The built-in power banks capacity is 3000mAH. 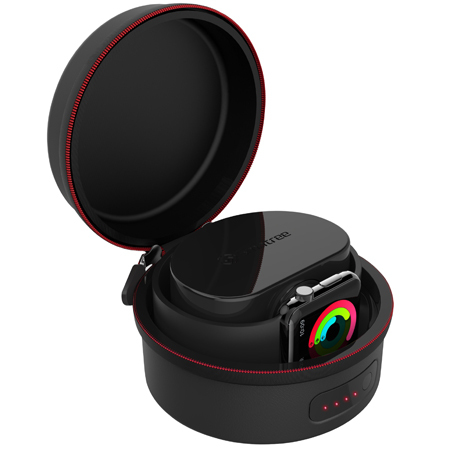 It can fully charge your Apple Watch 38mm series 6 times or Apple Watch 42mm series 5 times. Perfect fit for Apple Watch Sport 38mm/42mm, Apple Watch 38mm/42mm,Apple Watch Edition 38mm/42mm.The case is a wonderful backup power for your iPad, iPod,iPhone 6S, 6sPlus, 6, 6Plus, 5S, 5C, 5, 4S, Samsung Galaxy or other devices when you are outdoors. Hands down, the best Apple Watch accessory I've found! Like other reviewers, I definitely recommend buying a shorter charging cable then you have room for other USB cables and can charge your iPhone, iPad, Kindle, Bluetooth headphones on the go! This is a must have accessory if you own an Apple Watch! works extremely well and great storage. 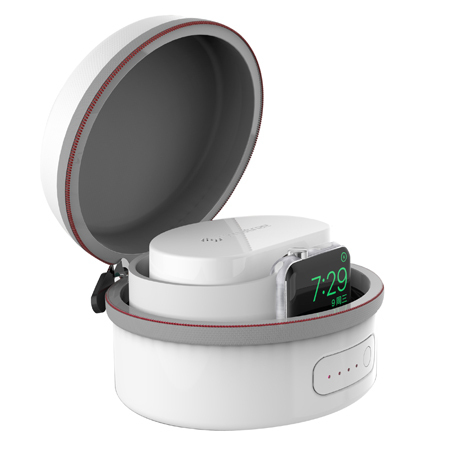 This is a MUST have for an Apple Watch, works extremely well and great storage.